National Doctors’ Day today on July 1, 2012. In India, National Doctors’ Day is annually celebrated on July 1, to commemorate the famous medical personality Dr. B. C. Roy (Bidhan Chandra Roy). He was born and died on July 1 of 1882 and 1962 respectively. 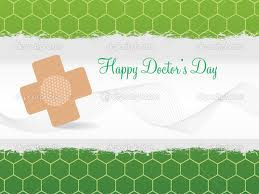 Check here for Doctors Day Quotes or Doctors Day Sms Messages or Doctors Day 2012 Wishes and greeting cards. But in United States (US) National Doctors’ Day is held every year on March 30th. Doctors Day is a day to celebrate the contribution of physicians who serve our country by caring for its citizens. It is indeed important that both doctors and patients be made aware of the existence of this day and at the same time, of its relevance and significance in the larger context of healthcare in this country.